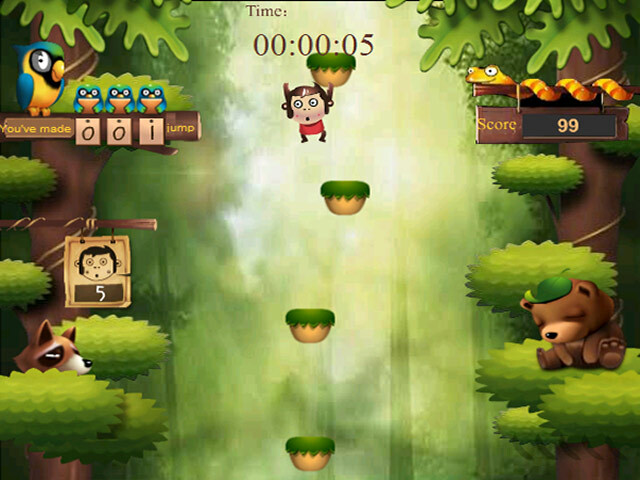 Use the space bar to help the Jumping Monkey leap from platform to platform in this online arcade game. 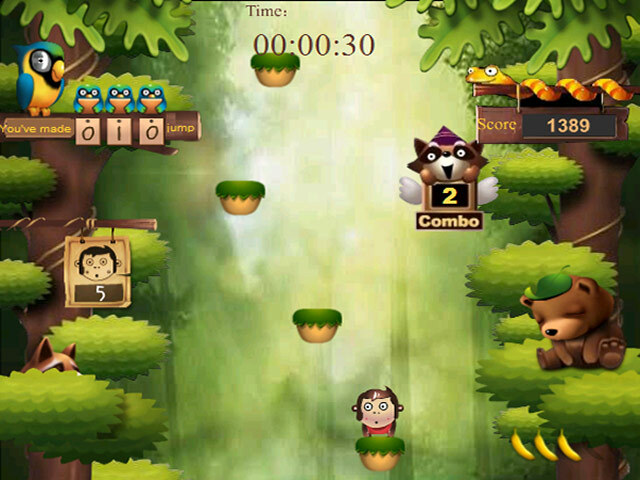 Monkey see, monkey jump!Leap your way to the jungle roof!Monkey see, monkey jump! 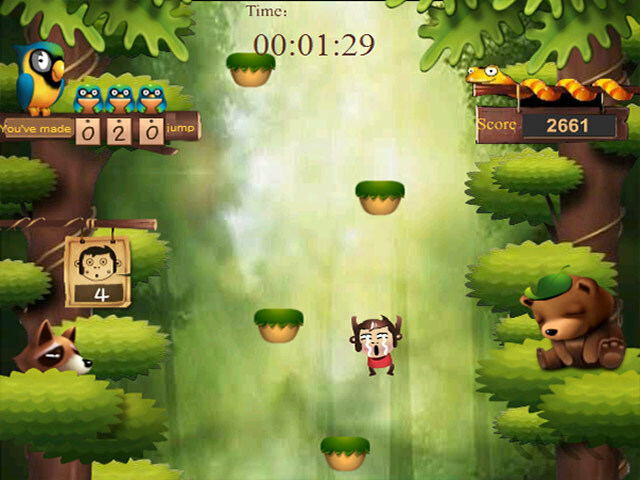 Help the Jumping Monkey leap from platform to platform in this funny online arcade game. 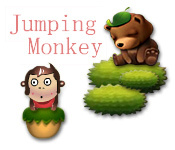 Press the space bar to tell the monkey when to jump. Each successful jump earns you 100 points. Every time you miss, the raccoon will steal one of your lives. You only have 5 lives, so look before you leap if you want to reach the jungle roof.